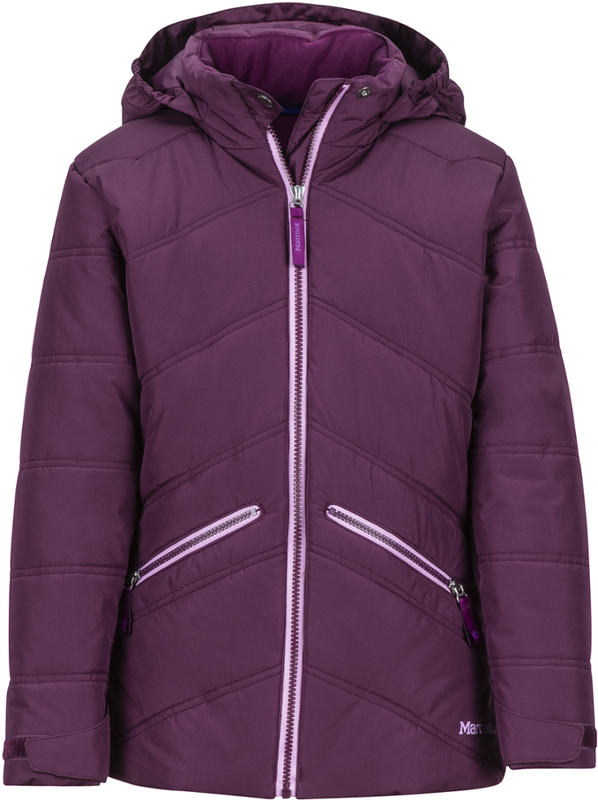 Winters song runs a range of notesthe versatility of the Reversible Dream Song Hoody keeps girls comfortable no matter the range. The urban jackets windproof quilted shell is treated with a DWR (durable water repellent) finish and reverses to a fleece side. 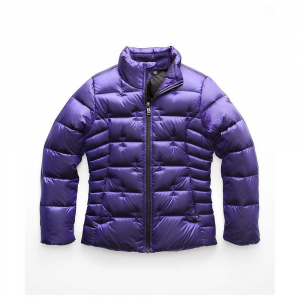 60-g Thermogreen insulation in the jackets body stays warm even when wet. A quilted, three-panel hood has fleece on one side and snaps off to re-attach to the reverse side of the jacket. 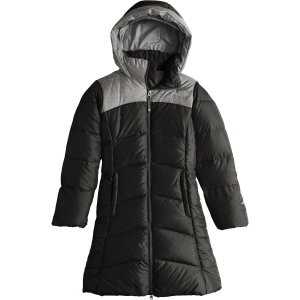 Sleek side-seam handwarmer pockets on the shell side and zippered pockets on the fleece side hold pine cones and mittens. 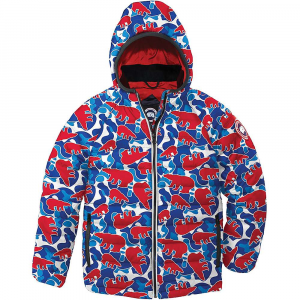 The girls' Patagonia Reversible Dream Song insulated hoodie keeps your little adventurer's options open. 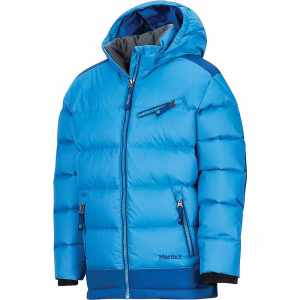 The smooth shell side is windproof and water-resistant while the plush side is extremely warm. 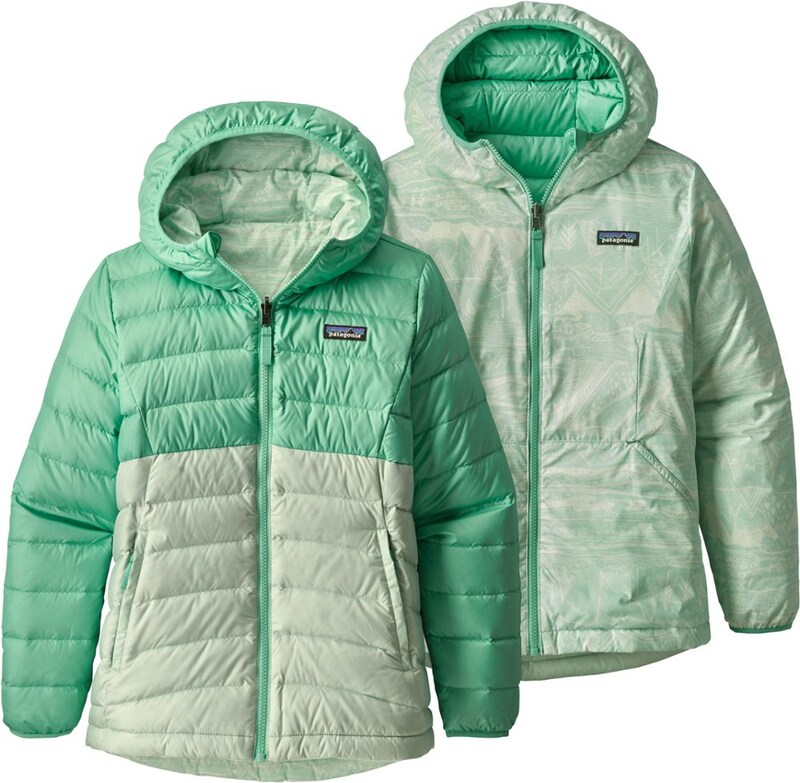 When it comes to staying stylish and comfortable in the city, look no further than the Patagonia Girls' Reversible Dream Song Hooded Down Jacket. 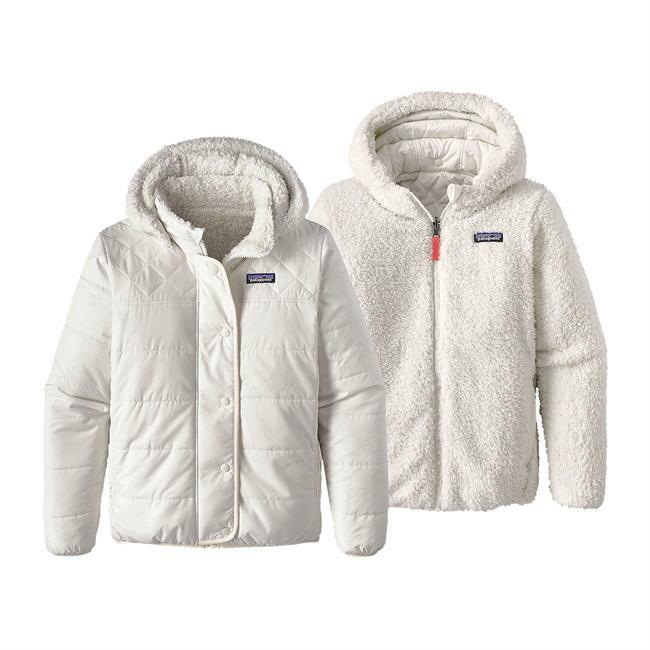 Offering the best of both worlds, the Dream Song features a dual-nature personality, that showcases a quilted shell on one side and a high-pile fleece lining on the other. And, to top it off, Patagonia added a layer of synthetic Thermogreen insulation, which ensures you stay warm--even when wet.